Description: Looking down from the exit of the Messner couloir while climbing the West Buttress route. Foraker in the back, 17k camp and WestButtress to the right. Shot with 15mm lens, Kodachrome 64.
this is a very good picture. do you have a trip report from your climb? a friend of mind might climb this next year. i may or may not join him. thanks. 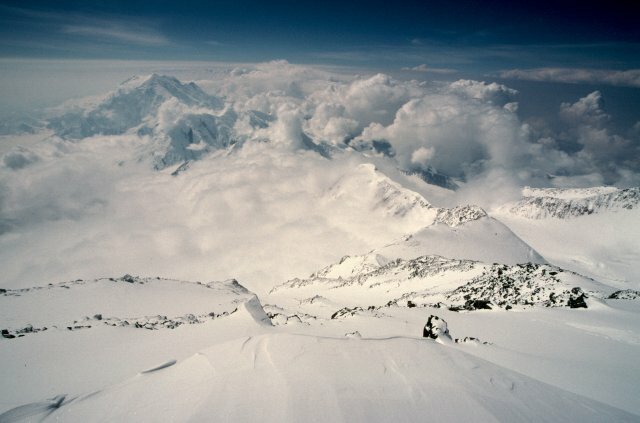 Denali is a great climb, but a tough one as well.